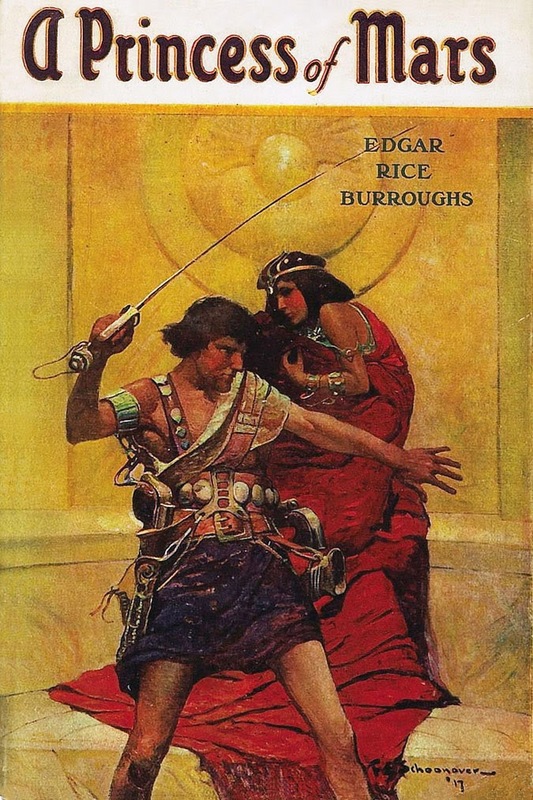 While Star Wars was really inspired by George Lucas’s love of the Flash Gordon serial, the real inspiration comes from science fiction author Edgar Rice Burroughs. It is irrelevant that the recent 'based on the books' movie called John Carter flopped big time at the box office ( I enjoyed it!). Of the film itself, Forrest Gump director Robert Zemeckis apparently turned down the chance to direct, quipping "George already pillaged all of that" with the "Star Wars" films. In other words, most of the best elements of Edgar Rice Burroughs' Mars fantasies had already been "borrowed" for George Lucas' space saga, and just because the film was dismissed by many people, the source material cannot be so easily rejected. Lucas made no bones about how he was inspired by Rice's work and said in 1977 “Originally, I wanted to make a Flash Gordon movie, with all the trimmings, but I couldn’t obtain all the rights. So I began researching and found where (Flash Gordon creator) Alex Raymond got his idea: The works of Edgar Rice, especially his John Carter series of books." Indeed, the first draft of the Star Wars follow up, The Empire Strikes Back was written by science fiction author Leigh Bracket. It's hard then not to see how her influence also shaped Star Wars by way of Burroughs. Some of the influences are plot based. Dejah Thoris, the Princess Of Mars herself, was commonly described and depicted as wearing golden bikinis and showing a lot of skin. Is it a surprise then that ANOTHER princess wore a golden bikini in Return of the Jedi? Probably not, so Good one George. George also took a bit of 'naming' help from Burroughs. Ever wonder where the word Jedi came from? While it may have an Asian language link, the monarchs found on the planet of Mars are a titled Jed (king), Jeddak (emperor) and Jeddara (empress) respectively. So one can assume Jedi may have come from Edgar Rice. On Barsoom a 'padwar' is a low-ranking officer. This is not too far a stretch from 'padawan', an apprentice Jedi, is it not? Did you ever see Attack of the Clones? At the end, it featured a pretty epic Colosseum battle where Yoda swooped in with his merry band of Clone Troopers so save the luckless Jedi from certain defeat. 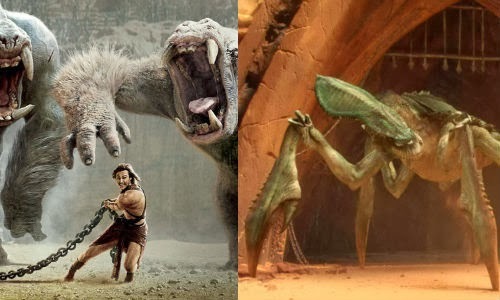 Did you notice that the John Carter had a similar scene where the hero had to battle chained alien beasts? If you thought John Carter was ripping off Star Wars, think again, Burroughs wrote this scene over 100 years ago! So, if we accept these elements found in Star Wars are indeed nicked from the stories that Burroughs set on Mars, then it would seem only fair to Disney's John Carter of Mars that it should be recognized as the original Star Wars movie. If you want an expert's take, read this. Or you could read an essay on how I watched 6 movies that George said influenced him when making Star Wars. There is also a type of flying hornet-like creature called a "Sith" in John Carter. Exactly! And the Sith-riding Red Martians of Kaol might very well have inspired the crimson-complected Sith people of KOTOR fame. Improve your grammar. Put off after first few sentences by sloppy writing. @Anonymous: Nothing wrong with the author's opening paragraph, dude.